Visit the beautiful grounds of the 1732 Pratt House, a landmark property of Essex Historical Society. ESSEX — Enjoy history? Historic interiors? Meeting new people? 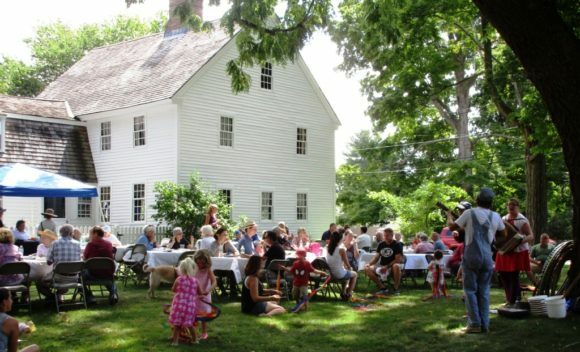 Essex Historical Society cordially invites you to an Open House for Volunteers at the historic 1732 Pratt House on Sunday, April 23, from 2 to 4 p.m. The event will be held at the Pratt House, 19 West Avenue, Essex. A short presentation will occur at 2:30 p.m.
Pratt House’s volunteer tour guides or ‘docents’ lead engaging tours for visitors. The Society would love to introduce you to their volunteer tour guide program or ‘docents’ that will lead to a rewarding experience for you and our history-loving audience. 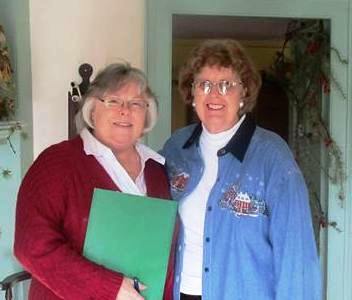 Come meet their genial, well-informed guides for a private tour of this historic structure. No experience is necessary and all training is provided. The Pratt House has served as Essex’s only historic house museum for more than 6o years and serves as the flagship of Essex Historical Society. The house tells the story of life in an early CT River seaport town through nine generations of one family, many of whom were blacksmiths. Tours of the house are offered to the public from June – September, Friday, Saturday and Sunday afternoons, 1 to 4 p.m.; and by appointment. Beautiful grounds, newly restored kitchen gardens, a community garden, reproduction barn and museum shop make for a memorable visit to this historic landmark.